The local cycle improvements we’re asking for have been chosen according to six key principles: based on the kinds of measures seen in countries with high levels of cycling. Space for Cycling is not about ‘cyclists’. It’s about creating the conditions where riding a bike is a realistic choice for everyone, regardless of age or ability. Wider benefits include reduced traffic noise, more friendly neighbourhoods, improved air quality and more freedom for children to play outside. Major roads and junctions can be threatening which deters cycling. Yet they are often the most direct routes from A to B. 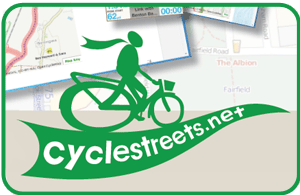 With good cycle planning, anyone should be able to use these routes safely and confidently. Lowering traffic speeds improves safety for everyone, including people riding bikes. It creates a more pleasant environment where walking and cycling are enjoyable and local neighbourhoods are more pleasant places to live. Rat-running blights communities and can make travelling by bike intimidating. Pleasant cycling and walking routes can be created by closing a road to through-traffic but leaving it open for bicycles and people walking. Many Derby schools offer cycle training but very few children are able to ride their bikes to school. Road danger is a huge worry for derby parents which keeps walking and cycling levels low. Public spaces which are not dominated by motor traffic encourage people to spend time there. They are more pleasant places to work, shop and spend time. Think of European café culture: the result of streets which revolve around people, not motor traffic. Walking and cycling in green spaces is pleasant and can enhance city life. Routes through parks and green spaces complement direct routes along main roads but should not be seen as an alternative to a cycle-friendly road network. The various communications about Space for Cycling can be found here. Our judgement of the current status of support from the political parties in Derby can be seen here. The online petition can be found here. If you are able to print a petition and get signatures from work, school, your friends or elsewhere please print this document. A flyer to publicise the petition can be found here.